In this video tutorial we will show you how to create wind effect in Adobe Photoshop. Launch the Adobe Photoshop. Go to the “File” menu and choose “Open”. In the appeared dialog box, select the image file you want to edit and click on the “Open” button. Then click on the “Zoom Tool” icon in the toolbar and zoom in on the image. 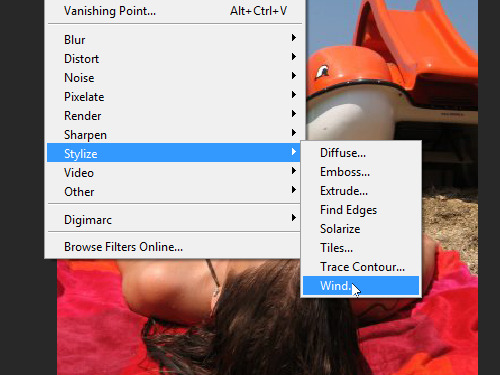 Go to the “Filter” menu and select “Wind” option under the “Stylize” submenu. In the appeared window select the stroke direction of the wind effect and press “OK”. Press the keyboard shortcut “Ctrl+F” one or several times to progressively enhance the wind effect. 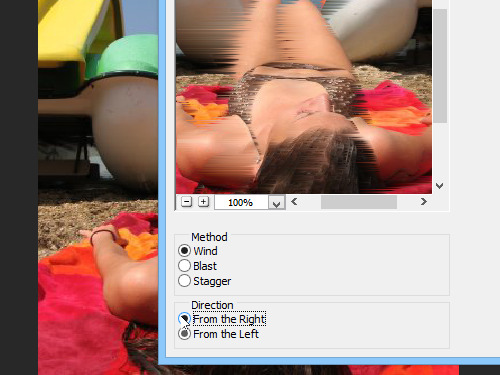 As you can see, the wind effect has been successfully created with Adobe Photoshop.